Sulfation is how a battery deteriorates over time. Sulfation occurs inside a battery when the electrolyte begins to break down over time. As the Sulphuric acid breaks up, the now free sulfur ions begin to make hard crystals. These crystals then stick to the lead plates in the form of lead sulfate crystals. As time goes on, these crystals develop and harden. As the crystals cover the lead plates the battery loses efficiency, power & storage capability, and generally starts to deteriorate. This process will continue to worsen, as the electrolyte continues to break down into crystals. 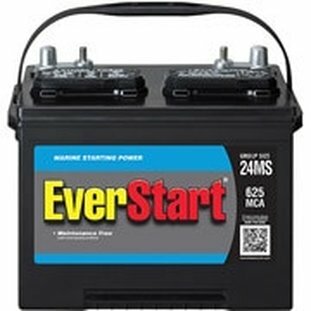 This is a very common problem in batteries left unattended, RV parks, Marinas, etc. In other words, sulfation is not a good thing for a lead acid battery, and leaving batteries unattended or under charged is the cause. 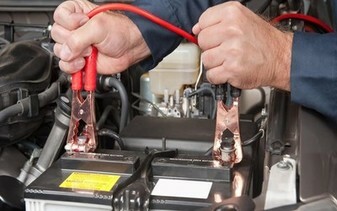 The most common reasons for battery sulfation is the inability to use the battery on a regular basis. So the easiest way to prevent sulfation is to break those crystals down with your battery charger as they come. When they have time to HARDEN on you, they don't go away easy. In the early stages of sulfation, the soft crystals can be broken down and absorbed back into the electrolyte with a simple charge. Once the sulfate has stuck to the plates, it get's very hard to break it off. . The initial signs of battery sulfation are slower cranking, reduced storage capacity, and inability to reach a fully charged voltage, but just barely short of spec. In the first stage, crystals are floating around in the electrolyte and are very easy to break with a standard charge. If not corrected and allowed to persist, those same sulfur crystals will begin to stick to the lead plates. Once the crystals start to stick, you will require a larger charge to break the sulfur crystals free. Even more power is required to break those crystals down after you break them free from the lead grid plates. When the battery goes into the third stage of sulfation, it will be its last. This final stage will render the battery non-chargeable and useless. The sulfuric crystals, left unchecked, continue to grow inside the battery housing, moving things in their way. For batteries being used on a daily bases, sulfation is unlikely to occur. 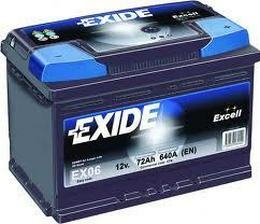 If you are not going to use your batteries routinely, expect to contend and fight with sulfation. The longer you leave your batteries unattended, the faster the rate of sulfation. 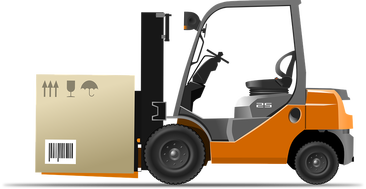 The rate of battery sulfation goes up rapidly, so when you get behind, it's hard if not impossible to catch up. 7911 West Hunters Run Dr.